The Consumer Electronics Show is the worlds largest tradeshow for consumer electronics. This year there were more than 2700 technology companies presenting their products to more than 140,000 visitors (with 30000 attendees from outside the US) . Keynote addresses were presented by 22 CEOs including Steve Ballmer from Microsoft, Boo-Keun Yoon from Samsung and many others. There are lots of reports on the web related to the recent Microsoft Professional Developers Conference (PDC). This conference atracts leading-edge developers who want to learn about the future direction of Microsoft products. Here's my take on a couple of the topics and the location of some useful links for further information. Microsoft Azure is an operating system for the 'cloud'. The Shared Storage system replicates data across many machines - possibly thousands. Automated Service Management enables you to upgrade an application without bringing the system down. Many developer tools are provided and include the 'Cloud on a Desktop' which provides a simulation of the Windows Azure Cloud environment on your local machine. Tools extend Visual Studio to enable the creation, building, debugging, running, and packaging of scalable services on Windows Azure. Azure works with both managed and unmanaged code. Windows 7 - spotted a pretty good article describing the features of Windows 7 so I don't need to repeat it here. 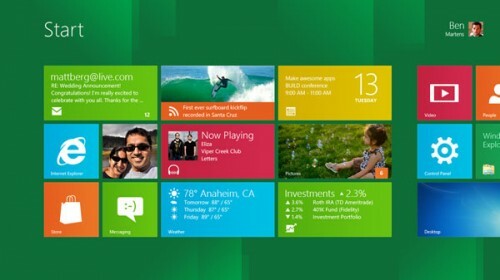 Windows 7 is the next operating system from Microsoft, due as a replacement for Windows Vista and scheduled for release probably some time in 2010.